This is the time when her mother (Urvashi) joins her in SizeZero clinic in an Express weight loss program after which Sweety realizes that they use harmful drugs to kill the calories. 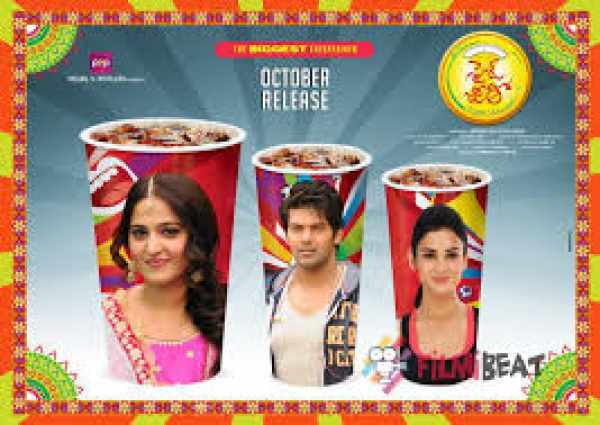 The rest of the movie is how Sweety proves that SizeZero is fake and introduces natural ways of weight loss. Watch the film to know about the rest. The film has many entertaining elements throughout the movie. The complete first half has been written with utmost care and well executed. Anushka has taken the film to the next level with her cute and bubbly performance. The songs have been good and the complete first half has been engaging and entertaining throughout the movie. The second half of the movie has been decent but there have been many flaws which make the audience get irritated. Some of the episodes have been stretched but the pre climax episodes bring out the momentum back. The climax has been well written and presented well which make the film end decent. Anushka who has been in searching for challenging woman centric films has done one more tailor made role. the film will end up as a milestone in her career and her performance as Sweety is the major highlight of the movie. She has become bulky for the character which proves her dedication and passion for cinema. Urvashi has been suitable as caring and worried mother. Arya has been stupendous as Abhi and Sonal Chauhan looked glamorous. Prakash Raj, Ali, Brahamandam and Adivi Sesh have been brilliant with their assignments. All the other actors have been outstanding. The story of the movie has been interesting and it has been well written. The screenply and the dialogues have been decent. The music has been suitable and has been given as per the episode. The background score and cinematography are the major highlights of the movie. The production values have been appropriate and Prakash Kovelamudi will sure need a special mention for narrating a message oriented film in an engaging way. It is a movie that has loads of clean entertainment along with a strong social message. Anushka’s outstanding performance along with an engaging direction makes the film impressive.